I was going to make tomato soup but something put me off. Plus this is the easiest way to make passata! 1, Turn on the slow cooker to high. 3, Fry off the onion and the garlic in the olive oil until soft in a frying pan. Stir in the salt and transfer into the slow cooker. 6, Remove from the slow cooker and leave to cool slightly. 7, Press the tomatoes through a metal sieve and return to the slow cooker. 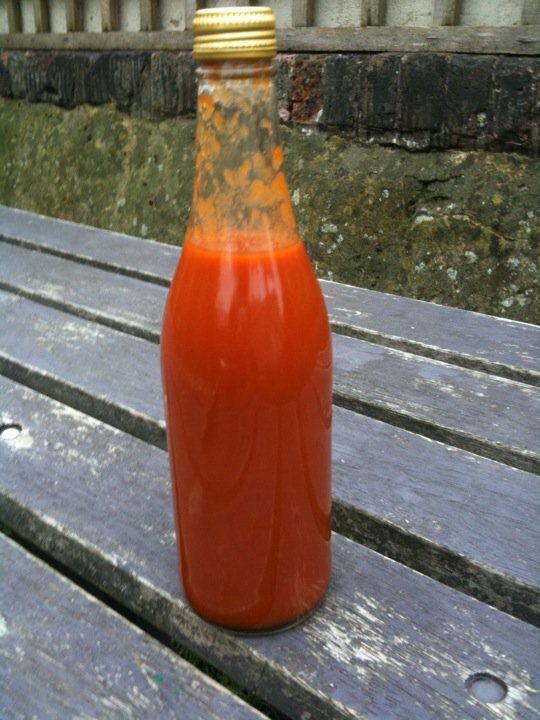 8, Heat back through and reduce to a passata like consistency before decanting into sterilised bottles or Tupperware to freeze. Dead simple, this recipe is from Joy of Baking and produces the best sugar cookies! 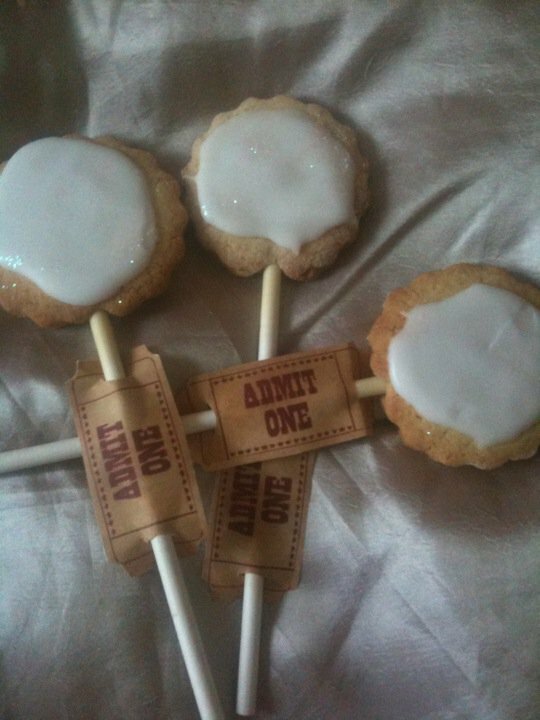 All I did extra was roll them a little thicker, insert a lollipop stick and bake. Then simply spread a thick glacé icing, sprinkled on a little edible glitter and slipped on a little ADMIT ONE ticket. 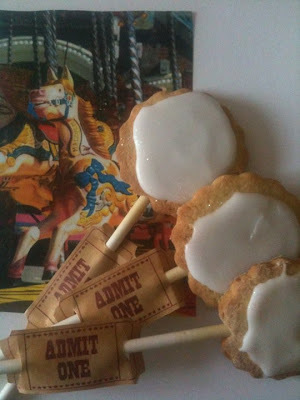 Voila, funfair cookies! Here is the recipe for the sugar cookies! The glut is continuing! 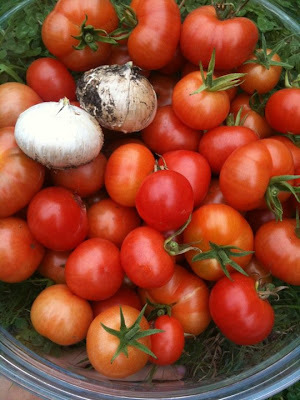 I’ve just picked a further three kilos of ripe tomatoes from the cottage garden! 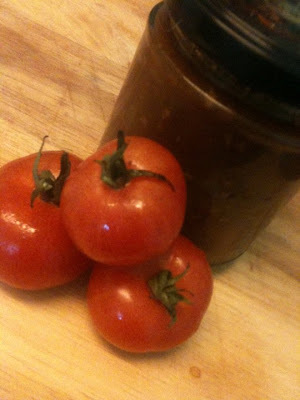 The first kilo were destined for this delicious chutney and the rest are currently being passata-ed! 2, Tip everything else in an stir until well combined. 4, Turn the heat down and simmer the chutney until everything is soft and the sauce has thickened. Don’t be tempted to keep it on a high heat as the sugar will start to burn on bottom of the saucepan. 5, Cool slightly before decanting into sterilised jars. Leave in a cool dark place for at least a couple of weeks before eating. 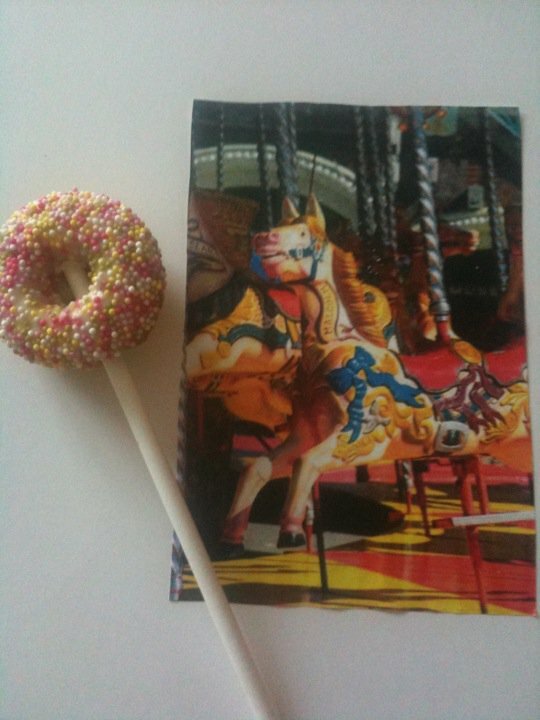 As part of my little work funfair bites, I made little baked doughnuts. I used to be fascinated by those doughnut machines by the seaside when I was younger. The ones with the huge vat of batter at one end and the river of oil with the flipper in the middle? Like these ones! 4, Line your mini doughnut tin well with melted butter and dust onto of that a little more plain flour, just to make sure they don’t stick. If your using a silicone mould then this shouldn’t be a problem! 5, Fill each little doughnut indent about half full with the batter. It is a pretty sticky and gloopy batter so I ended up putting it into a freezer bag, snipping off one of the corners and using it like a makeshift piping bag. 6, Bake for around 4-5 minutes until firm to the touch and risen. 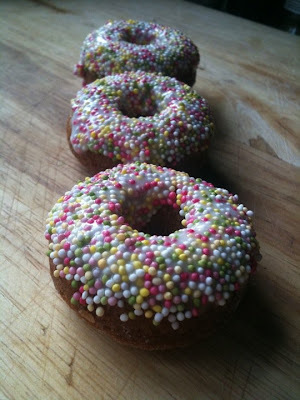 7, Remove from the oven and take the doughnuts out of the tin and cool on a cooling rack. 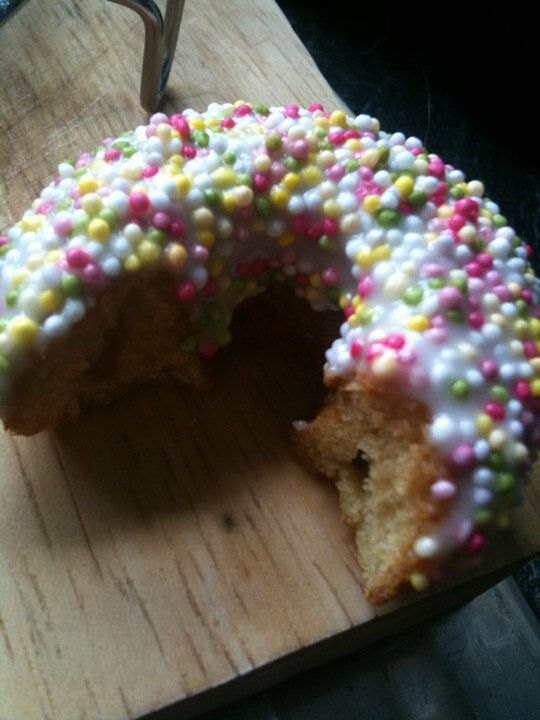 8, Dip in icing and sprinkles, or chocolate, or douse with icing sugar or whatever takes your fancy. 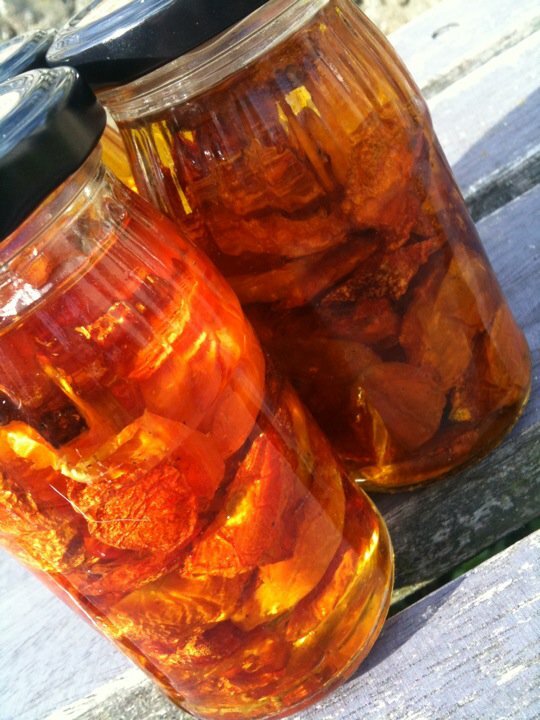 I know the next batch I’m making will involve cinnamon sugar…! I always take a cake into work for my birthday. But I work in a small office (11 people!) and always make far to much for them! So, something a bit smaller this year. Something bite size. It’s International Talk Like A Pirate Day and the last day of National Cupcake Week so why not celebrate them both together! I love how fun Talk Like A Pirate Day actually is. However, I share it with my birthday and that leaves me open to choruses of ‘Arrr! ‘Appy Birfday’ from my friends and family! I got these little cupcake cases one of my friends for my birthday! I am actually in love with them! 5, Bake for 15-20 minutes until golden brown and an inserted skewer comes out clean. 6, Transfer the cupcakes onto a cooling rack and make a simple buttercream recipe (cream together 175gr icing sugar with 75gr soft butter and mix in 2tsps of dark rum) and pipe or spread on top of the cool cupcakes. I umm-ed and ahh-ed about pudding though. 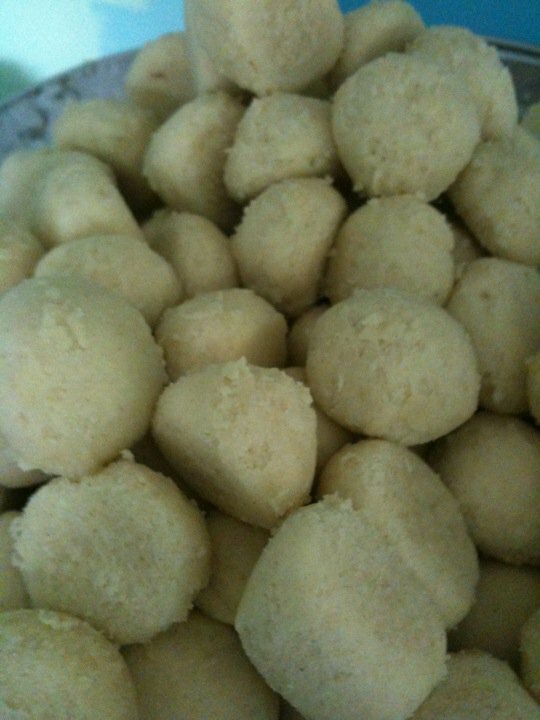 I stockpiled some kulfi in the freezer just in case but ended up making these tiny ghee biscuits. Everyone was too full to think about anything sweet by the end of the night and these little bagged up biscuits we very much appreciated! 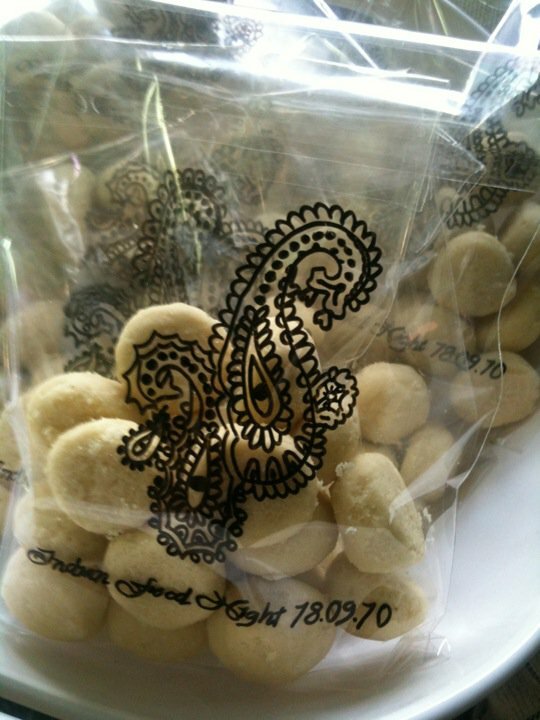 Unfortunately, it is very easy to demolish a whole handful of these bad boys. They have a beautifully Scottish shortbread-esque texture, literally melt in your mouthy and are sweet. Very sweet! 1, Whisk the ghee and icing sugar together until pale and creamy. This should take around 5 minutes. 2, Gently add the flour, a tablespoon full at a time. 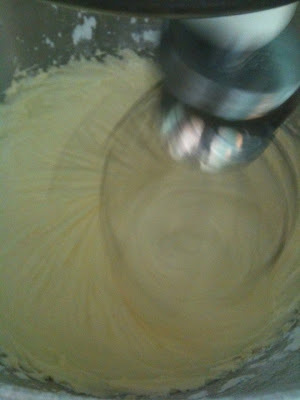 When it is all incorporated it will turn into a very silky feeling dough. 3, Using a ¼ tsp measuring spoon, scoop out bits of the dough and roll into balls. (Time consuming? Yes… Worth it? Completely!) You should end up with about 150 ish. 4, Place the balls on a lined baking sheet and bake for 20 minutes in the oven. Turn the baking sheet around half way through cooking. 5, When cooked, leave on the baking sheet for about 5 minutes. Cool completely (this doesn’t take long because they are so tiny!) and store in an airtight container. Cup of tea and a biscuit? 1, Cream the butter and sugar together until pale and fluffy. 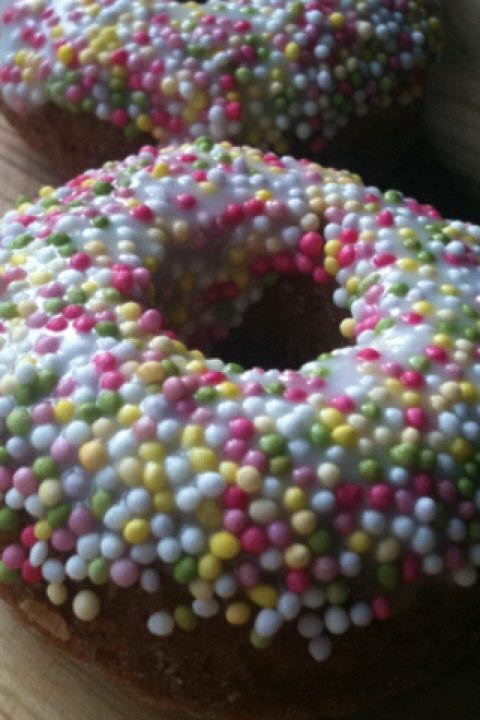 3, Add the egg yolk, vanilla extract and maybe a dash of milk to make a stiff dough. 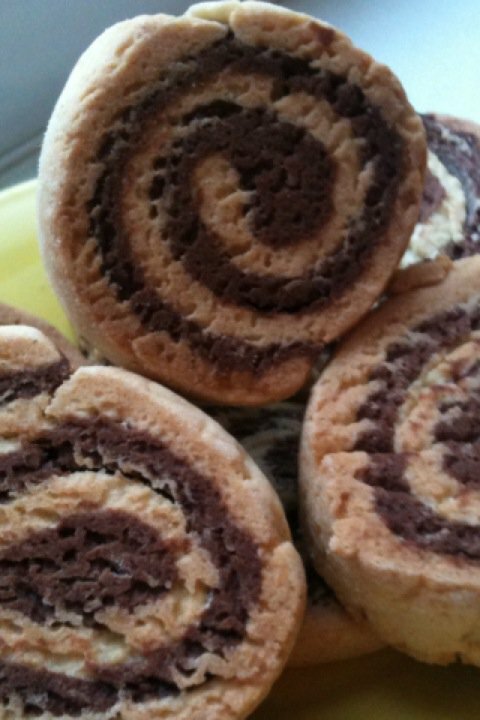 4, Split the dough in half and knead in the 2tbsp cocoa powder to one. 5, Wrap separately in cling film and place in the fridge for 30 minutes. 7, Roll up the rectangle lengthways and wrap tightly in cling film. Return to the fridge for another 30 minutes minimum. 8, Preheat the oven to 180o/c (gas mark 4). 9, Unwrap the dough and cut into 20 slices. 10, Place on a lined baking tray and bake for 15-20 minutes until firm. My rosemary bush has finally picked up some growing speed and I couldn’t help but pull a few sprigs off for this. 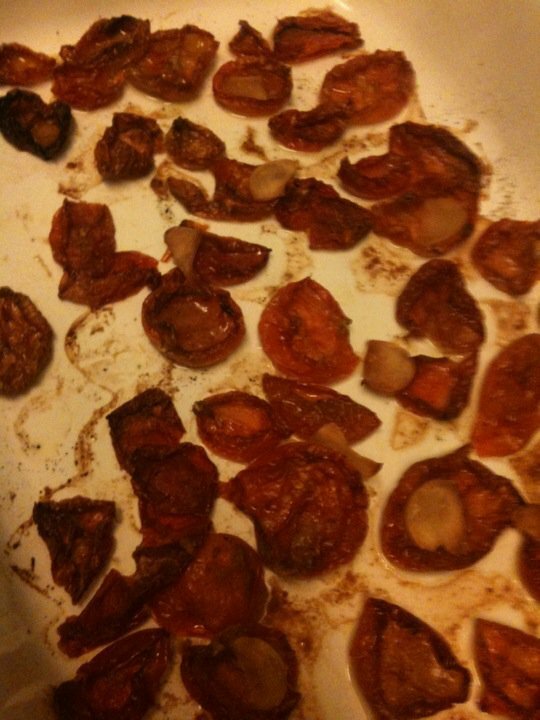 Plus it gives me an excuse to eat more of the oven dried tomatoes I made! 3, Make a well in the centre and pour in the olive oil and mix quickly. 10, After an hour, peel off the clingfilm, and dip your fingers in some olive oil and make dimples all over the loaf. 11, Bake in a preheated oven at 240o/c (gas mark 9) for 20 minutes until golden brown. 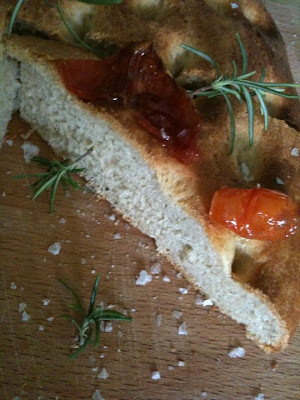 12, Sprinkle with coarse sea salt and garnish with more rosemary and tomatoes before serving. I was looking through some baking blogs and I stumbled on two great blogs (here and here) and their new monthly challenge! I have a penchant of anything chocolate based so I thought I would give it a go! The special ingredient this month is Raspberries and being hosted by Chele at Chocolate Teapot and the first thing that popped into my head is Chambord, a raspberry liqueur. 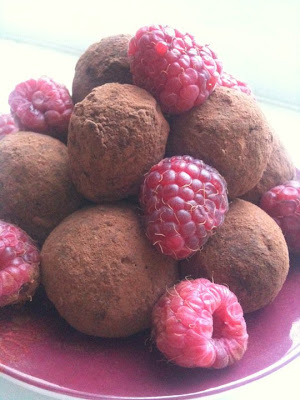 It's the basis of my favourite cocktail (French Martini... Mmm...) so I thought I would make truffles with it! 1, Melt the chocolate in a bain-marie and remove from the heat and heat the cream in a separate saucepan over a low heat until just simmering but not boiling. 2, Add the Chambord into the cream, whisk briefly and pour over the chocolate and whisk together until smooth and glossy. 3, Pour into a small bowl, cover with clingfilm and leave overnight to set. 4, When the ganache has set, lay out a dinner plate sprinkled with cocoa powder and using a teaspoon dig out lumps of the hard ganache, roll into balls and roll in cocoa. Got tomatoes? A lot of tomatoes? Cut the tomatoes in half, quarters if they are big. Clean out the seeds, sprinkle them with salt and place cut side down on a wire cooling rack for half an hour. After half an hour, wash the salt off the tomatoes, preheat the oven to 110o/c (or the lowest setting). 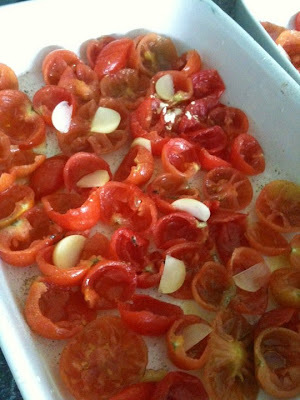 Spread the tomatoes out in large roasting dishes and add a pinch of black pepper and some slice garlic. Place in the oven and roast for 2 ½ to 3 hours until they have shrunken and dried out, but not all the way through. Leave to cool and place in sterilised jars. Top up with olive oil and keep in the fridge. 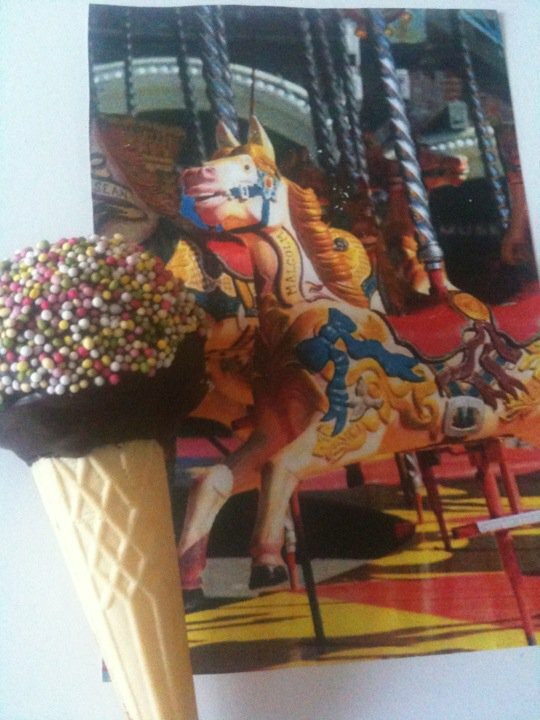 I felt a pang of sadness when I found out Kshocolat had gone into administration. Sweet Tooth wanted one of their Lemon and Pepper white chocolate bars and there was an ominous gap in the shelf. Something bad had happened.